(91outcomes.com - April 4, 2017) - Newly published study results by researchers at the Roskamp Institute in Sarasota, Fla, have found changes in mitochondrial, immune, and inflammatory pathways following Gulf War agent exposures in an animal model relevant to Gulf War Illness. In the publication authored by Dr. Zuchra Zakirova and a team of Roskamp researchers, led by Dr.'s Ghaniyah Ait-Ghezala and Fiona Crawford, conclude that these discoveries may lead to potential targets for therapeutic intervention. The study was funded by the Gulf War Illness Research Program (GWIRP), part of the Congressionally Directed Medical Research Program (CDMRP) funded by Congress under the Defense health program (GW100076). Dr. Ait-Ghezala has recently been awarded a follow-on research grant to identify treatment strategies, which if successful could then be expedited to human trials (GW160107, "Treatment Strategies in a Mouse Model of Chronic Gulf War Illness"). Another Roskamp researcher, Dr. Laila Abdullah, has begun a related GWIRP-funded study, "Identification of Lipid Biomarkers of Inflammation and Metabolic Disturbances in GWI" (GW150056). Crawford, President and CEO of the Roskamp Institute, serves on the VA Research Advisory Committee on Gulf War Veterans' Illnesses (RAC). Complementary proteomic approaches reveal mitochondrial dysfunction, immune and inflammatory dysregulation in a mouse model of gulf war illness. Zakirova Z1,2, Reed J1,3, Crynen G1, Horne L1, Hassan S1,4, Mathura V1, Mullan M1, Crawford F1,5, Ait-Ghezala G1,5. 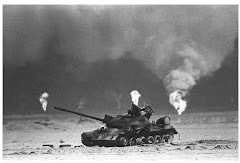 Long term consequences of combined pyridostigmine bromide and permethrin exposure in C57BL6/J mice using a well characterized mouse model of exposure to these Gulf War (GW) agents were explored at the protein level. We used orthogonal proteomic approaches to identify pathways that are chronically impacted in the mouse CNS due to semi-acute GW agent exposure early in life. These analyses were performed on soluble and membrane-bound protein fractions from brain samples using two orthogonal isotopic labeling LC-MS/MS proteomic approaches - stable isotope dimethyl labeling and isobaric tags for relative and absolute quantitation. The use of these approaches allowed for greater coverage of proteins than was possible by either one alone and revealed both distinct and overlapping datasets. This combined analysis identified changes in several mitochondrial, as well as immune and inflammatory pathways after GW agent exposure. The work discussed here provides insight into GW-agent exposure dependent mechanisms that adversely affect mitochondrial function and immune and inflammatory regulation. Collectively, our work identified key pathways which were chronically impacted in the mouse CNS following acute GW agent exposure, this may lead to the identification of potential targets for therapeutic intervention in the future. 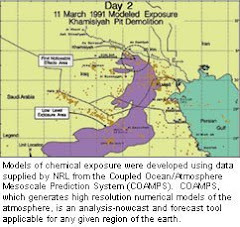 Long term consequences of combined pyridostigmine bromide and permethrin exposure in C57BL6/J mice using a well characterized mouse model of exposure to these Gulf War agents were explored at the protein level. Expanding on earlier work, we used orthogonal proteomic approaches to identify pathways that are chronically impacted in the mouse CNS due to semi-acute GW agent exposure early in life. These analyses were performed on soluble and membrane-bound protein fractions from brain samples using two orthogonal isotopic labeling LC-MS/MS proteomic approaches - stable isotope dimethyl labeling (SIDL) and isobaric tags for relative and absolute quantitation (iTRAQ). The use of these approaches allowed for greater coverage of proteins than was possible by either one alone and revealed both distinct and overlapping datasets. This combined analysis identified changes in several mitochondrial, as well as immune and inflammatory pathways after GW agent exposure. The work discussed here provides insight into GW-agent exposure dependent mechanisms that adversely affect mitochondrial function and immune and inflammatory regulation at five months post exposure to PB+PER. This article is protected by copyright. All rights reserved.